Now more than ever before, life is considered short, nasty and brutish in Pakistan. The populace finding itself helpless in the stranglehold of a barbaric police force and other Law Enforcement Agencies (LEA). Obviously a nation remembers its saviours the most when it finds itself afflicted by an incurable disease. Unfortunately, Pakistan has not had too many healers whereas every military dictator that we have had has masqueraded over the national horizon with his own messiah complex-be it Field Marshal Ayub Khan, General Yahya, General Ziaul Haq or General Pervez Musharraf. Each did the utmost to bully the people into voiceless submission. One of our few great leaders, the martyred Benazir Bhutto -Pakistan’s last hope in the most challenging circumstances, was removed from the scene through a conspiracy by Dictator General Pervez Musharraf. Despite such an irreparable loss, we still had a saviour of a different kind. Not a politician in the parliamentary sense, nor a general in uniform but more powerful than the two. That was the bravest of the brave hearts, Asma Jehangir. Nature struck when we needed her most last year, (February 11) leaving us with no shoulder to cry upon. Though fragile and diminutive to look at, she braved oppressive martial laws, defied dictators and physical attacks by their proxies, but never gave in when most of the mightier men had surrendered. She stood aloft towering over others in defence of the rule of law, democracy and empowerment of the people irrespective of their caste, creed, colour or gender. The young lawyer from Lahore crash landed with a big thud in a men’s world when she challenged her father’s incarceration at the hands of dictator General Yahya Khan – who she eventually got declared a usurper by the Supreme Court of Pakistan – single handedly. Then there was no turning back. She blossomed into a dauntless crusader for human rights, rule of law, freedom of press, empowerment of the less privileged and supremacy of the parliament. Indeed, much of the little success this country has had in blasphemy cases was thanks to her. Indeed, had Asma been alive today she would have torn the ongoing gerrymandering to pieces. She would not have allowed the JIT to pressurise the Sahiwal family nor would she let the executive deny the family the benefit of a judicial commission. She would have also taken the FIA cyber branch to the cleaners for brow-beating and arresting journalist Razi Rizwan who was later released on bail. Had she been with us today, Asma would have raised her voice in all of its full throated thunder over the shameful treatment of human rights activists in Balochistan and the northern areas where both Balochis and the Pashtun Tahafuz Movement’s Pashtuns are suffering at the hands of our so-called law enforcers. The mysterious death of senior PTM member Professor Arman Loni in Loralai is a grim reminder of the massacre of teachers in erstwhile East Pakistan during the military action in 1971. While rampant high-handed actions by the law-enforcers have become the order of the day, not to allow human rights activists their legitimate and constitutional right to protest against the alleged murder is like rubbing salt on their wounds. Only the other day, a prominent academic Ammar Ali Jan was arrested from his residence in Lahore during a Gestapo-like raid by the Punjab police. He was charged with ‘anti-state sloganeering’ before being released on bail later that day. Days earlier in Islamabad, the police arrested over a dozen members of the PTM and singled out leading PTM member Gulalai Ismail for over 24 hours. It is only after the intervention of Federal Minister Human rights Dr Shireen Mazari that she was let go without being charged with anything. Ever since the PTM emerged as a forceful voice of Pashtun dissent, making inroads into electoral politics- instead of tracing the main cause of the PTM’s rise in popularity- the establishment has done its utmost to frame PTM as anti-state. It is good to know that the PTM leadership has stood up to all sorts of pressures and intimidations, remaining steadfast in exposing the maltreatment of downtrodden Pashtuns at the hands of oppressive security agencies. Come what may, they are determined in demanding their constitutional rights. I am sure, had Asma been alive today, she would not have stood by and watch all of this happen. Asma Jehangir would have been happy about the acquittal of Asia Bibi, who was falsely accused of blasphemy. She would have also been happy about the Supreme Court’s recent land mark judgment in the Faizabad Dharna case, in which the conspiratorial role of the agencies and some of their high ranking personnel in uniform was laid bare for all to see. 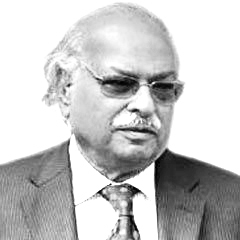 Unlike Air Marshal Asghar Khan’s case against the involvement of retired Army Chief General Aslam Beg, his DGISI Gen Asad Durrani, President Ghulam Ishaq Khan and others in funding political parties opposed to Benazir Bhutto to subvert her landslide victory in successive polls after 1988-Faizabad Dharna Case judgment no doubt is highly explosive and its repercussions would be long felt. Indeed, these words would remain a beacon for all times to come as befitting tribute to the great legacy of Asma Jehangir. Last but not least, since the ominous signs are very clear, we must get united to rise to the challenges they pose, and as a nation defy the forces singled out as the culprits in the Faizabad Dharna judgment.